Fun Wolf Facts For Kids | Cool Kid Facts . When you think of a wolf, one of the first things that probably comes to mind is their loud howl at a full moon. While wolves are known for howling to communicate with each other, it might not be in front of a giant full moon, like the cartoons tell us! 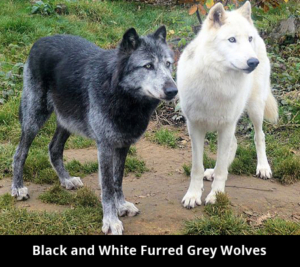 Keep reading to find out more facts about wolves. 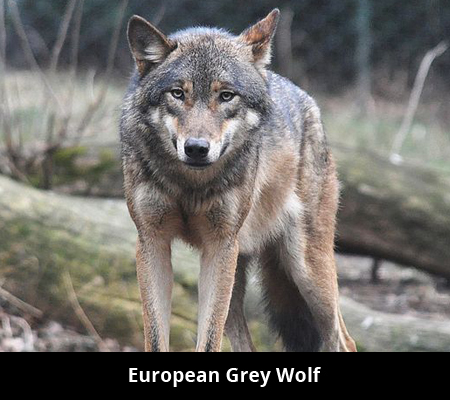 What are the characteristics of a wolf? Wolves are mammals, which means they have hair, give birth to live young, and feed their babies with milk. They are the largest members of the dog family and they can weigh close to 200 pounds when they are fully grown adults. The most common type of wolf is the gray wolf, which has gray and brown fur with long, bushy tails. They have long snouts and pointed ears on top of their heads. Wolves live in a pack which contains between six and ten other wolves. This pack is lead by a male and everyone in the pack follows his lead. Wolves can be found in different habitats all over the world, but they are most commonly found in the United States, Canada and Arctic Russia. Wolves are popular in forests, but they can also live in grasslands, deserts, the arctic, and mountains. Most wolves today are found in the frozen tundras in Canada and Alaska, where there aren’t many people or animals to bother them. Wolves are carnivores, which means that they mainly eat meat. Because they live and hunt in packs, they are able to work together and take down large animals that they might not be able to attack on their own. Some animals that wolves like to hunt are elk, moose, deer, bighorn sheep, and bison. If they can’t find many big animals, they will also eat squirrels, mice, weasels, and foxes. Wolves will also add to their diet other foods like apples, pears, berries, and melons. How do wolves protect themselves? Wolves are the top predators in their habitat, and have many ways to protect themselves against threats. Wolves have sharp teeth and are extremely strong, which helps them take down their prey. They can run fast and don’t get tired very easily, so they can outrun anything that might be trying to chase them. Wolves also have sharp eyesight, and excellent senses of hearing and smelling. While a bear or a mountain lion might be able to attack a single wolf all by itself, they are no match for the pack of wolves that travel together. With all of their defenses, few animals are any threat to wolves. Wolves are the top predators in their habitats and are fierce hunters. Not very many animals try to fight wolves, and they are smart for that! Wolves travel in packs and work together for food and safety. These animals show us an important lesson: you are stronger when you work as a team.